Betty Jean Dillard, 85, of Auburn, passed away on August 12, 2018 in Auburn, AL. Betty was born in Notasulga, AL to Rufus and Jessie Mae Hancock on May 30, 1933. She graduated from Macon County High School in Notasulga in 1951. Betty began her days after high school as a telephone operator. She then opened Betty’s Beauty Bar in downtown Auburn near Toomer’s Corner and worked as a Beautician for more than fifty years. 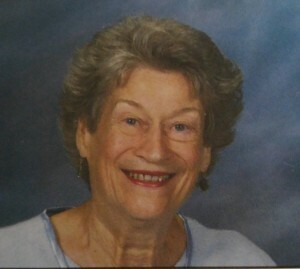 Betty was a member of Auburn United Methodist Church. Betty was preceded in death by her parents, Rufus and Jessie Mae, as well as six siblings. Betty is survived by her three children: Chris Dillard of Auburn; Yvette Decker (Kevin) of Norfolk, VA; and Yolanda Smith (Jackie) of Opelika. She is also survived by her sister, Willie Lenoir (Dale) of Clanton, AL and her only granddaughter, who was born on her birthday, Haden Cannon (Matt) of Beauregard, AL and their children: Emilia and Case. She is also survived by her many nieces and nephews whom were so dear to her. Betty Dillard’s family wishes to send a special thank you to all of her friends at Auburn United Methodist Church, the staff and nurses at Oak Park Nursing Home who cared so kindly for her in the last months of her life, her friend Harold Cummings and his family, and all the wonderful ladies and gentlemen whom she worked with and knew through her many years as a hair dresser.